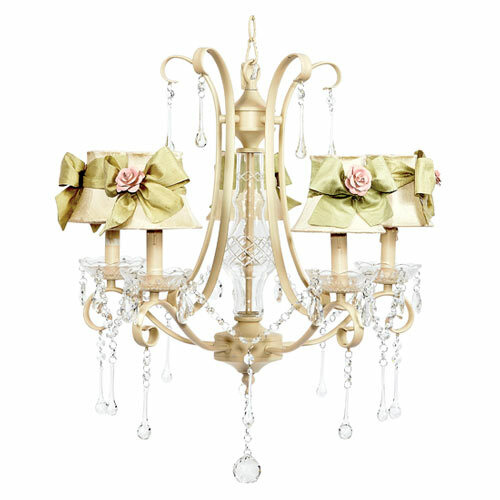 Our Rose Sash Ivory Colleen Chandelier exudes elegance and grandeur as it brightens up your little one's room. With its ivory scrollwork design, glass center, and loads of dangling crystals, this chandelier will make a grand statement in her room. The silk ivory shades, adorned by a green bow and a rose magnet, add that crowning finishing touch!